Do you believe our economy is in another financial bubble? If so, what will be the force that causes it to burst? Harvard University recently invited Financial Advisor Tim Hayes to talk with students about their personal financial planning. During those meetings, Tim learned that students have both private and government-sponsored student loans. 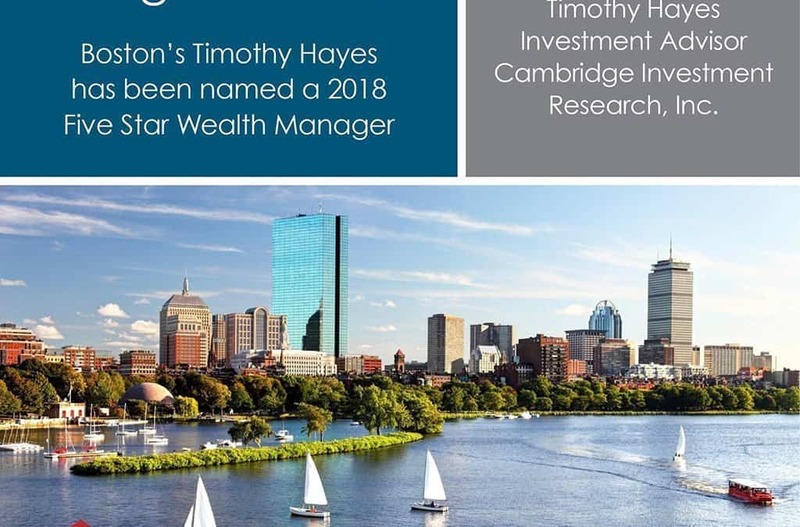 In conjunction with Boston Magazine, Five Star Professional has recognized Timothy Hayes with the 2018 Five Star Wealth Manager. Investment Advisor magazine has announced Cambridge as ‘2016 Broker-Dealer of the Year in Division IV1’ – the division representing independent broker-dealers with more than 1,000 producing rep-advisors. The AIF designation specifies special knowledge of fiduciary responsibility and the ability to implement policies and procedures that meet a defined standard of care. The Designation is the cumulation of a rigorous training program, which includes a comprehensive, closed-book final examination under the supervision of a proctor, and agreement to abide by the Code of Ethics.